We just need to know how to Harness it! Sunday 23rd June is Supermoon. 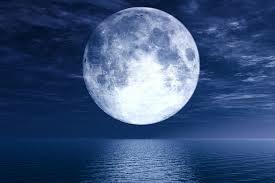 According to NASA, a full moon at perigee is up to 14% larger and 30% brighter than one at its furthest point. That's a lot of extra moon energy! The moon lights up the earth at night and moves oceans, imagine how the energy could light up your mood and how it could influence your vision and purpose of life. You can harness this energy with meditation and use introspection to force change and happiness into your life. There is no doubt that the moon brings out so much energy, both positive and negative. The internet is full of articles on all the negative things that happen. All energy is what we make it. You can use this energy in a positive way. There are many ways to mediate, but the key here is to take some “quiet” time for oneself, and let the mind and body reenergise itself. Put on some nice soft music and watch your thoughts like passing clouds, don't dwell on them, just observe them drifting by. Introspection is the first step towards any change. Only by knowing and understanding where we are can we decide how to take matters forward. What use is energy if we do not know how to utilise it correctly. Building a mole hill in the garden does not achieve any great change in life. Use the vigour of your ne found energy to drive your life forward in a direction that you really want to go in. Think positive thoughts, use the moons energy to help focus your energy on creating positive thoughts. Celebrate; be Over the Moon! Celebrate life, use the super moon as a time to celebrate life and reflect on all the positive things that have happened this year. Enjoy the wonderful energy of this supermoon and try to channel the extra energy you may be feeling into something wonderful, and don't forget to put out your Healing Crystals!